Creator, dreamer… human. Multidisciplinary artist. I’ve done almost all related with traditional and modern arts. I’m always open to new frontiers! 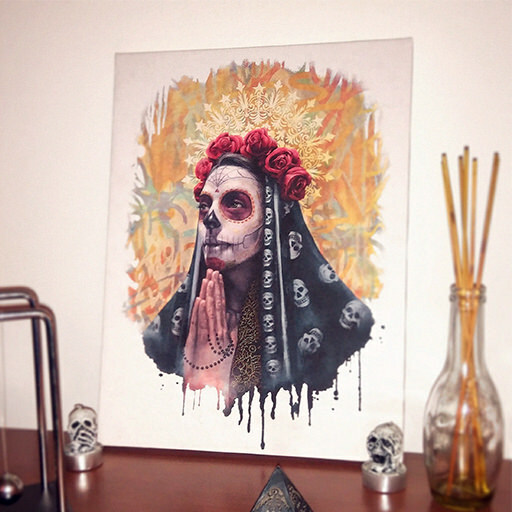 Catrina – The Skull Girl canvas pic form a happy spanish customer! I try to thank every one of you, but once again and always: thank you all! "FOR THE LOVE OF DOGS"